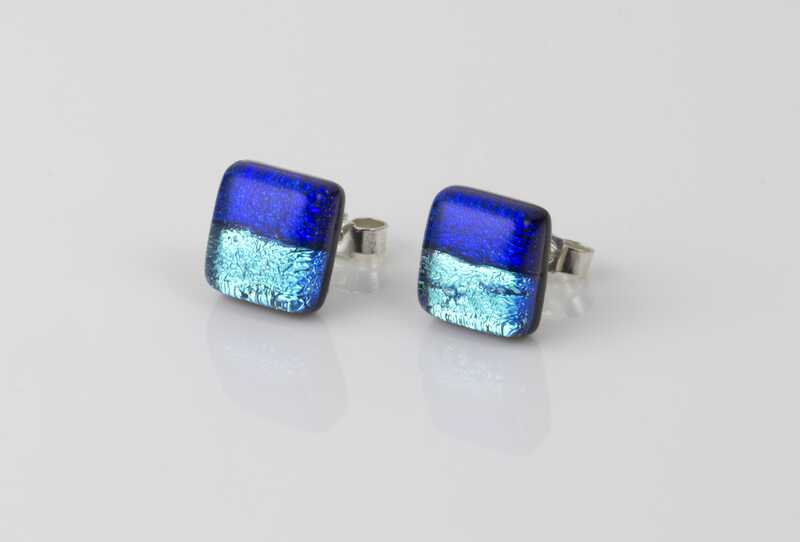 Handmade stud earrings with Turquoise blue and dichroic glass starburst pattern. 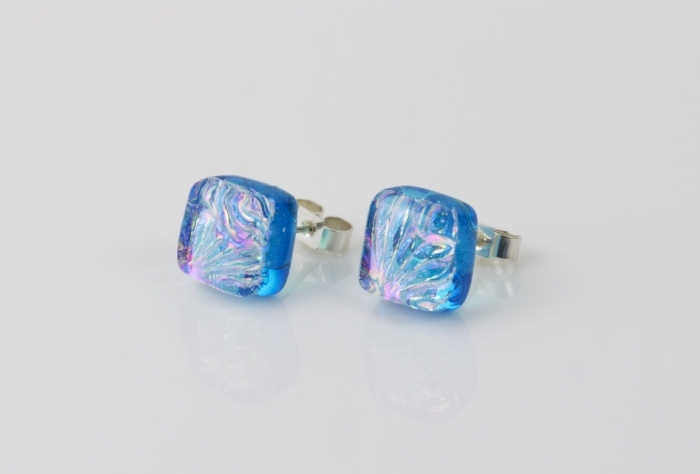 Fused glass earrings backed with turquoise clear glass, topped with a starburst pattern containing a multitude of colours. Truly comes into its own when worn. 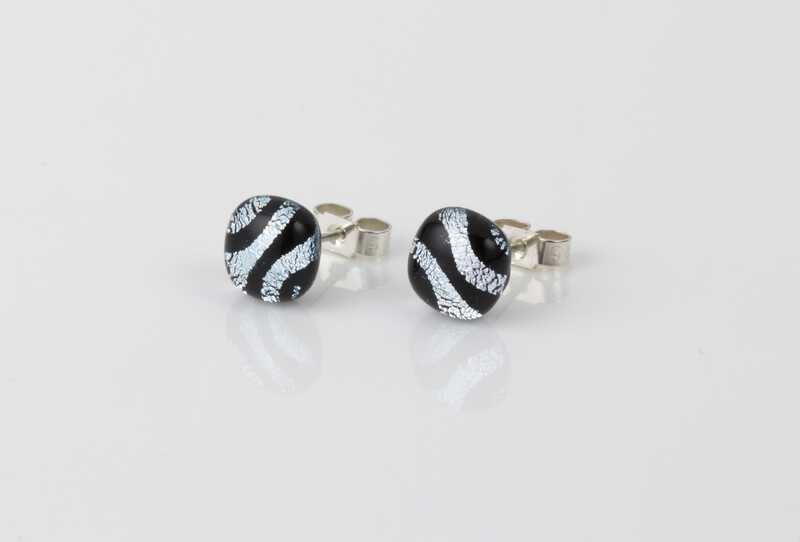 Handmade jewellery that sings! Size approx. 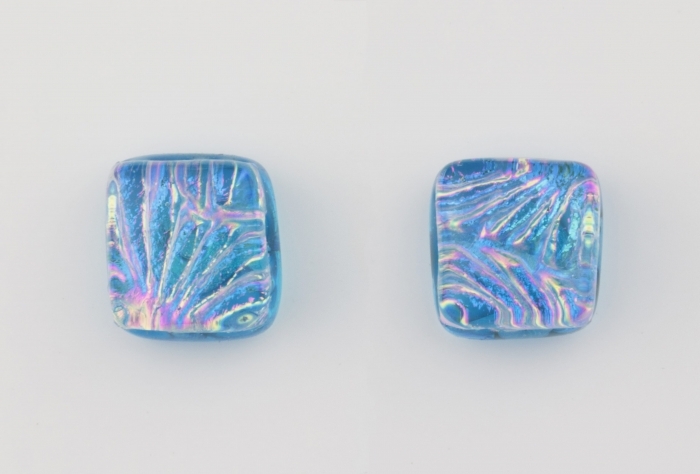 8 - 10mm on sterling silver posts. Unique product - hue may vary from shown. 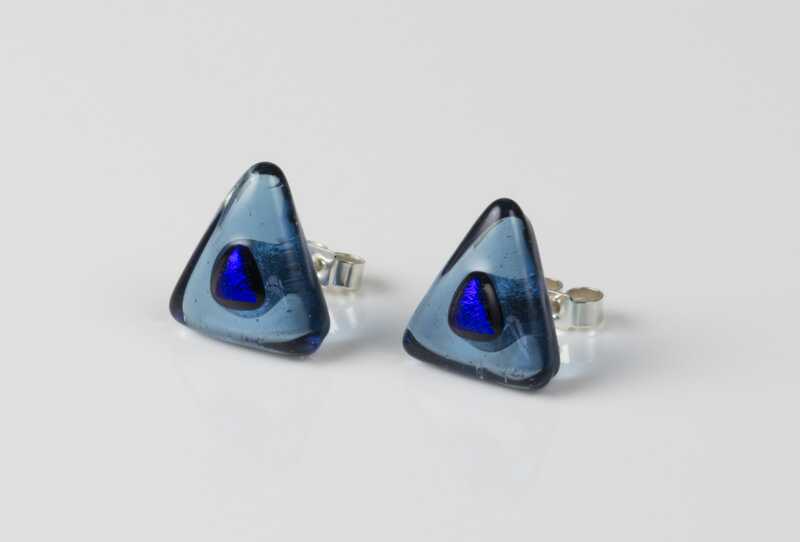 Accompanies the Triangle blue starburst pendant. 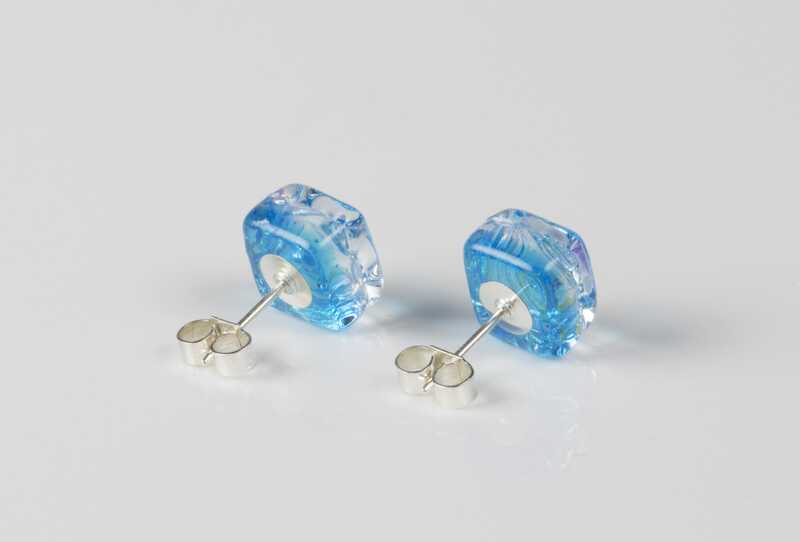 Also available as a drop earring.